Signal Samurai Review - Is it Time to Start Trading this Service? Not sure if this is right for you yet? We’ve put together a Signal Samurai review to help introduce the basics of the site for you. Read on, and if you still have questions when you’re done, feel free to head over to their website yourself and learn more. 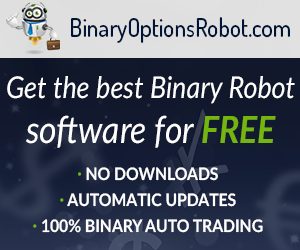 SignalSamurai delivers binary options signals to traders. These notifications are delivered in a way that points out exactly which asset, direction, and expiry you should be focusing on as a trader to help eliminate the guesswork on your end. 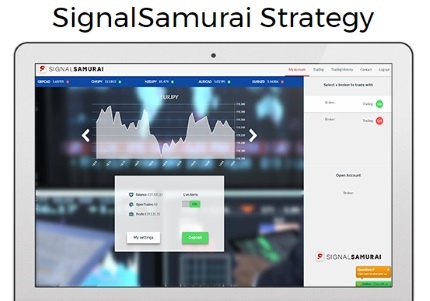 The signals service that SignalSamurai operates on is determined by an advanced algorithm, and because traders do not have access (or need access) to that algorithm, it is not necessary for traders to have a lot of trading experience in order for this product to be used. We do not recommend that Signal Samurai be used by new traders, but we will talk more about that below. The service is really easy to get started with. You will need to create an account, which can be done directly from the home screen. If you want to create a VIP account, extra steps are needed (more on that below). Be sure to give them the contact information that will be most beneficial to you for having signals delivered. Although they claim that no trading experience is needed for you to be successful with Signal Samurai, this is misleading. While SignalSamurai does the technical analysis for traders, this does not take away the responsibility that we have as traders. After all, if I make a trade, it’s my money at risk. If I’m not familiar with the trading software or platform that I’m using, I am likely to make mistakes. The only way to get over this is through experience. Also, signals are not one hundred percent guaranteed. Even a computer is wrong sometimes. If you are sent a signal and it doesn’t pan out, you’re going to lose money here. When you have technical analysis experience, double checking prospective trade opportunities is easier to do, and if you are strong in this area, your rate of success will naturally increase. So, while SignalSamurai makes claims of being ideal for new traders, we strongly urge you to not take this advice to heart. The real benefits from Signal Samurai come into play when you create a VIP Apprentice account. 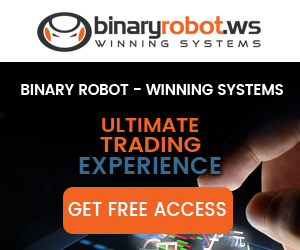 Here, traders gain access to advanced trade features and more exact data. To gain access to this, you will need to deposit money into a broker through SignalSamurai. If you want to continue using the VIP account after your initial time has expired, you will need to make a second deposit. Many people use SignalSamurai with success without taking advantage of the VIP features. We recommend using the product for a while before you use this. This way, you can give yourself a better idea of whether or not SignalSamurai is doing what you want it to do. There’s no point in spending money on something you don’t need to. But the VIP access does open up a lot of new doors to traders, and a limited number of individuals will benefit from this. It’s better to take your time here than to rush into something that isn’t going to help you out. Another benefit of SignalSamurai include free access to professional level signals. This is a no brainer, but not all services are free to access (in any way), and not all signals services are actually provided by other traders. In fact, many of the free services that we’ve seen in the past are provided by brokers themselves. When you make a losing trade, these brokers make money. Why would you want to use one of their services? That is not what Signal Samurai is! Finally, SignalSamurai allows you to trade with accuracy on the road. Mobile trading has really taken off lately, but because it is so hard to do your own analysis while you’re away from your computer, these trades are rarely down with the accuracy needed for success. When a trusted signals service sends you info, you can execute trades without a lot of doublechecking. That makes it ideal for busy people that don’t have a lot of time to study trade setups on their home computer screen. Do the benefits of the product outweigh the costs? Is this the best product to fit my needs as a trader? Is this the best product, or will something else work better for me? Is the product simple to use? If you answer yes to all of these, then the product might be a good fit for you. The only one of these that we can answer for you with certainty is the last. Our SignalSamurai review team found that it was a very easy to use. The rest of these questions will need to be evaluated by you on a case by case basis. Hopefully, this will get you pointed in the right direction concerning this particular product. Binary options trading is tough. It is risky, and most traders lose money when they stay in the market for prolonged periods of time. If you’re going to use a signals service, you don’t want that service to contribute to your loss of money, but rather to help you create a profit for yourself. Signal Samurai has decent potential for helping traders, but this is a decision that you’ll need to make based upon your circumstances and experience. It’s not right for all, but for those that it is good for, there’s a good chance that you will find it very useful. Be sure to check out the SignalSamurai site to learn more for yourself. Have you Tried this Robot?